This coming holiday season, Wilbros Live is treating us to a breath-taking, spectacular, thrilling performances. 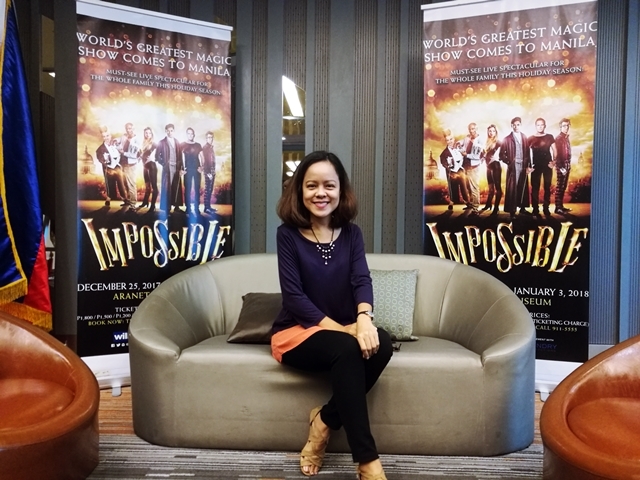 Fresh from its record-breaking second summer in London's West End, IMPOSSIBLE continues to tour the world and finally comes to Manila for the holiday season this December 25 to January 3. 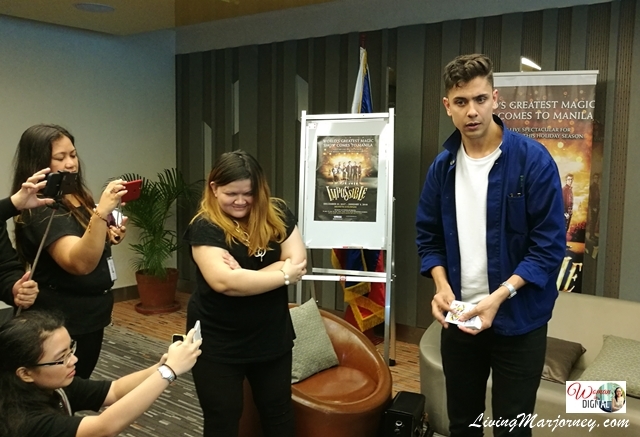 Last week, I had the chance to meet one of the performers of Impossible, Ben Hart in an intimate bloggers' event. 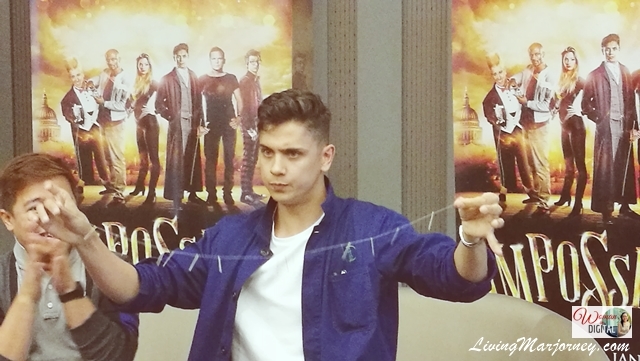 He talked about his passion and of course, the upcoming Impossible, the magical show in Manila. Ben started performing at the age of 16. 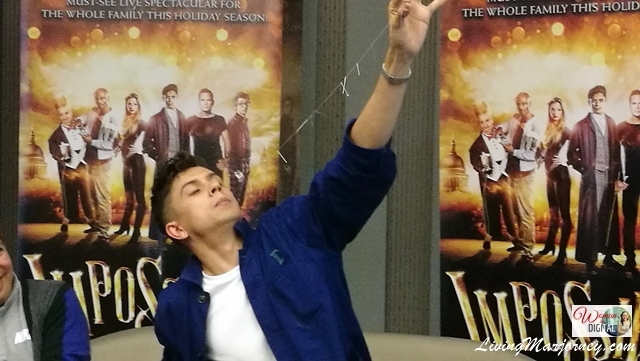 He won the Magic Circle's ‘Young Magician of the Year’ Award and his most recent show Belief? sold-out to astonished audiences. He also starred in BBC 3’s Killer Magic and has recently been seen wowing BBC’s The Voice coaches. Ben Hart invents unique magic which pushes the boundaries of film, theater and television and tests the limits of illusion, including decapitation, vanishing and levitation. 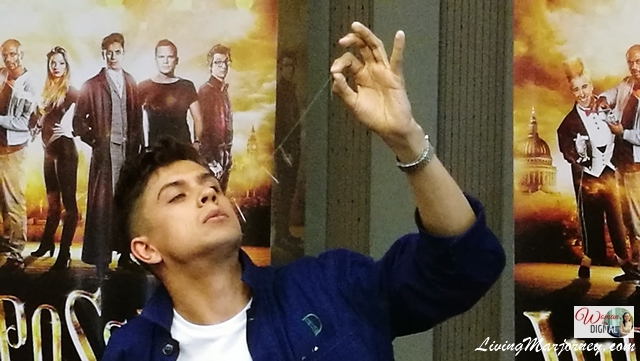 He also showed us some magical performances using playing cards and swallowing needles and thread. IMPOSSIBLE brings together six world-class performers showing off a stunning range of magical artistry. We are expecting the biggest illusions in history in the greatest magic show on earth. Exciting performances such as death-defying stunts, technological trickery, grand stage illusions and close-up magic in a fast-paced breath-taking performances. Bello Nock: Bello is America’s favourite comic Daredevil. His shows have played to sold-out crowds in Madison Square Garden and his first self-produced theatre show was nominated for a prestigious Drama Desk Award. Bello’s unique blend of endearing comedy and jaw-dropping daredevil stunts make him one of the most exciting live performers in the world today. Young or old, Bello always provides his audience with the gift of laughter and inspiration. Tickets rates starts at P1,800, P1,500, P1,200, P800, P500 and P150 (plus ticketing charge). You can get them starting October 7 at all TicketNet outlets or online via TicketNet.com.ph. For ticket reservations, call 911-5555 or 374-9999. For more details, follow @Wilbros Live on social media and #SeeToBelieve.